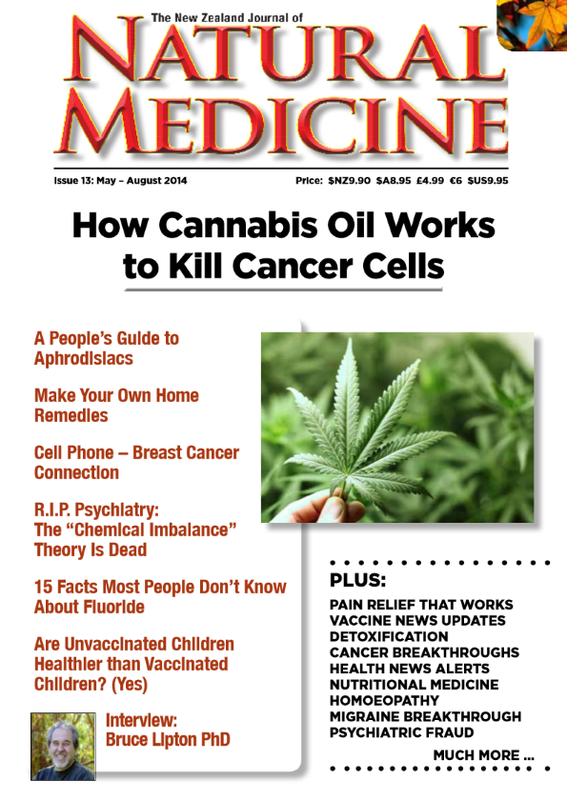 Since its launch in May, 2011, The New Zealand Journal of Natural Medicine has taken its place among NZ’s most enlightening magazines. It’s one of those rare magazines that actually dares to go where other “health” magazines simply don’t. This quip from Katherine Smith, Editor, is to the point. So, she says, don’t be be put off by the word “journal”. “It’s one of the most readable magazines out there. 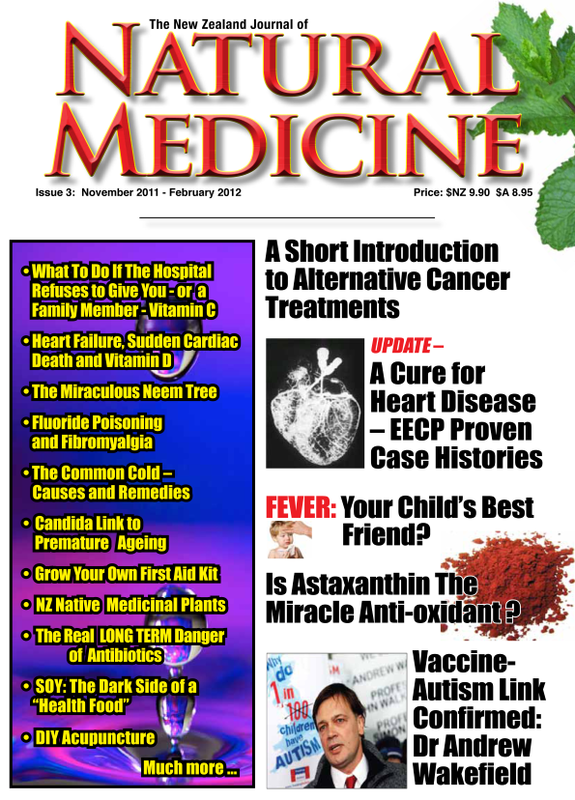 The contentious issue of vaccines features prominently in every issue of the magazine, along with excellent articles on nutritional therapies, homoeopathy, herbal medicine, and new and promising technologies like EECP cardio-vascular therapy and Scenar frequency therapy, both of which have proven to be highly successful in various applications. Katherine and husband Jonathan Eisen (the publisher of the Journal) have been writing and editing books and magazines for many years. Katherine is probably best known as the author of The Cancer Prevention Handbook, and Jonathan for his book Suppressed Inventions and Other Discoveries. They both saw the serious need for an honest, intelligent health magazine which prompted them to launch The NZ Journal of Natural Medicine earlier this year. “More people than ever are taking responsibility for their own health, rather than relying on a system that is increasingly showing signs of a paradigm meltdown,” says Eisen. The new issue is on sale November 6, throughout NZ and around November 21 in Australia. 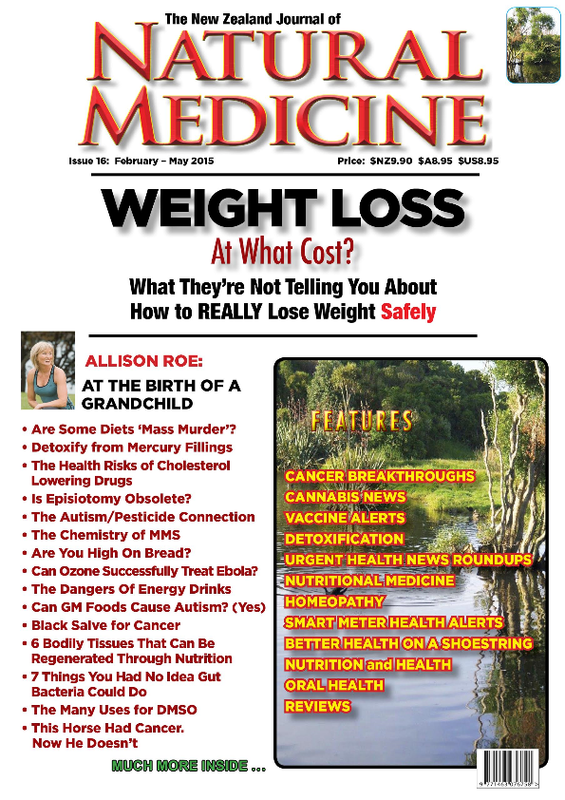 This issue is packed full of information you won’t want to miss, including the connection between fluoride and fibromyalgia, the link between candida and premature ageing and a great introduction to alternative treatments for cancer. For parents, the issue features an article by Michael Sichel ND, DO on the benefits of fever, gives an update on the MMR-autism controversy and also includes a guide to the new meningococcal C vaccine, asking the question of whether or not people are really able to make an “informed consent” given the information doctors and the Ministry of Health are providing. For her column “Better Health on a Shoe String” editor Katherine Smith has written “Grow Your Own First Aid Kit”, while new columnist Amy McComb explores the magic of Tanekaha, New Zealand’s premiere native plant for the liver. 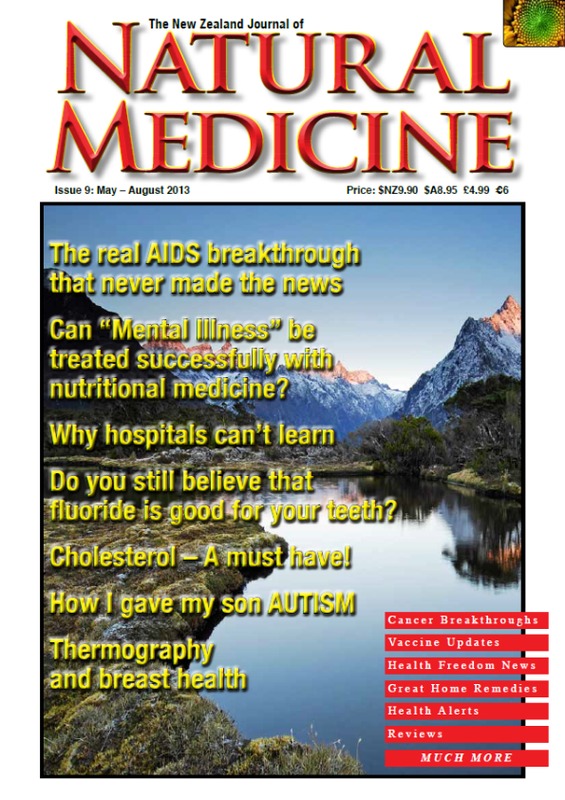 There are many other articles – including causes and treatments for the common cold by contributing editor Lady Carla Davis, the real long term dangers of antibiotics, as well as what to do if a relative in hospital needs intravenous vitamin C and staff balk at this potentially life-saving treatment – and much, much more in this 100 page issue.